Hot Mess Graphic Tee Just $15.95! Down From $30! PLUS FREE Shipping! You are here: Home / Instagram / Hot Mess Graphic Tee Just $15.95! Down From $30! PLUS FREE Shipping! Ladies, here’s a great deal for you! 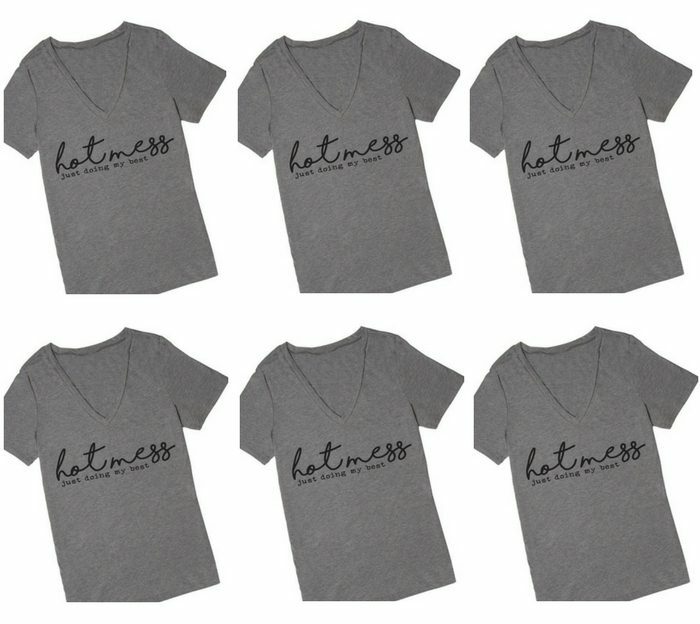 This V-Neck shirt is designed for every single woman and mother who are just doing the best that they can. Wave that hot mess banner high! This design is meant to encourage all women to just keep going! Hot Mess Graphic Tee is currently on sale at Cents Of Style for just $15.95 down from $29.95 when you use promo code BOLD12 PLUS FREE shipping! V-neck short sleeved t-shirt with “hotmess just doing my best” graphic in black.